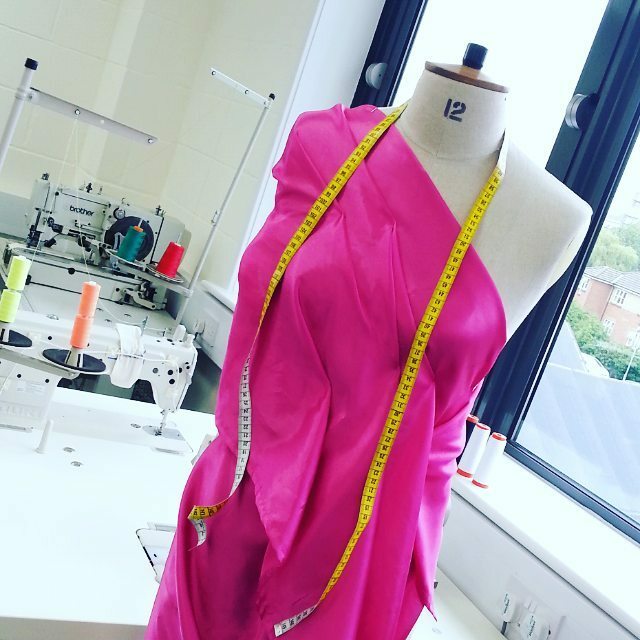 This practical fashion design course will immerse you in the fabulous, exciting world of fashion design and will help you understand how designers undertake the fashion design process. During this fast-paced, 10 week course you will be introduced to the principles of pattern cutting and garment construction, and shown how to develop your ideas into unique patterns and constructed garments. Course fee includes sewing materials such as threads, calico for toiles, interfacing and pattern cutting paper. The instructor will provide advice for purchasing appropriate fabrics, buttons and other notions for final garment. Although the emphasis is on womenswear design and working to personal measurements, men are also welcome and can work to the measurements of a tailor's mannequin. Beginning with inductions onto our specialist industrial fashion equipment, students will learn the basic skills of taking body measurements, pattern terminology, drafting bespoke bodice, sleeve and collar blocks, dart manipulations, and industry standard seam finishes to create a classic tailored shirt or blouse.